Nothing has been decided yet says RTE as it gears up for “wide-ranging” programming to cover the general election. RTE ARE DENYING that they have given the green light to a late-night current affairs show to rival Tonight with Vincent Browne. A report this morning in The Irish Daily Mail suggests that RTE has appointed Prime Time reporter and presenter Keelin Shanley as the host of a new political show to air at around the same time slot as Vincent Browne’s panel show on TV3. TheJournal.ie understands that a slot could be made available for such a show on RTE2, although no final decision has been yet made in that regard. RTE refused to comment this morning on whether Keelin Shanley’s work schedule was likely to change in the near future. With regards to the airing of a new political or current affairs programme, a spokesperson insisted that while the station was working on programming for the upcoming general election, nothing concrete had yet been decided on specific shows and wouldn’t be until a date for the election was set. This election is going to be huge. 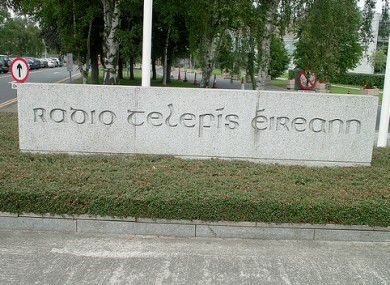 People are engaged with it and as such RTE is going to be looking at a wide range of election-related programming across all platforms, TV and radio. TV3 say that last night’s Tonight With Vincent Browne attracted a 23 per cent of the available TV audience – that’s around 216,000 viewers. This would be a higher figure than average because of interest generated by the results of the confidence motion tabled by Taoiseach Brian Cowen at the Fianna Fail parliamentary party meeting. Email “RTE refuse to confirm they are planning rival show to Vincent Browne ”. Feedback on “RTE refuse to confirm they are planning rival show to Vincent Browne ”.